SENDFUDGE.com Great Gift Idea, 140+ Flavors, delicious homemade fudge! gift-ideas – SendFudge.com™ delivers over 140 rotating flavors of gourmet fudge! Do you love fudge, but wish it came in more flavors? We make over 150! SendFudge is proud to be on the cutting edge of what will surely become a culinary sensation. This April Fool’s Day, trick your friends with a prank they won’t see coming. They’ll probably hate you, but that’s okay. A good April Fool’s prank is worth it. We all have at least one friend or relative who seems to have everything. Every birthday or holiday, it’s such a challenge to figure out what they could possibly want or need. What do you get for someone like that? Here are some unique, quirky gift ideas for that hard-to-buy-for person. If you have too much money and too little common sense, keep reading because you’re about to be very excited. 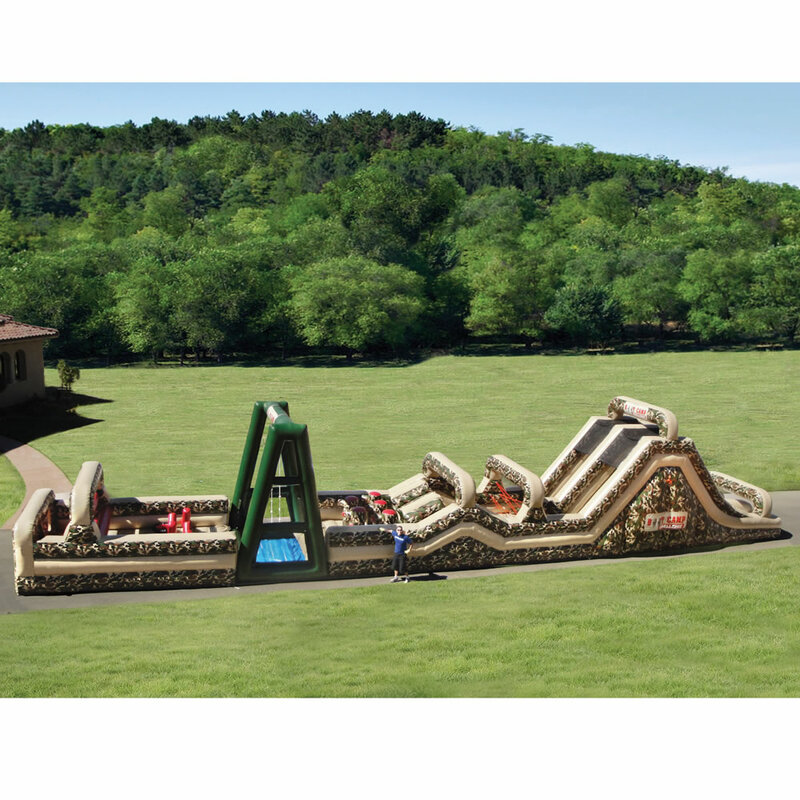 This 85-foot-long military-inspired inflatable obstacle course features such challenges as climbing a rope, swinging over a pit of water, and clearing hurdles. I’m sure this is a lot of fun. Until it pops, that is. Nothing inflatable lasts forever, but $12,500 (plus $1,050 for shipping) seems like a lot of money for a temporary toy. Or it could be a great value; I really have no idea when it comes to things like this. Check out these motorized roller skates. Yes, you read that right: spnKiX strap onto your shoes and let you go up to 10 miles per hour with virtually no effort. Welcome to the future. 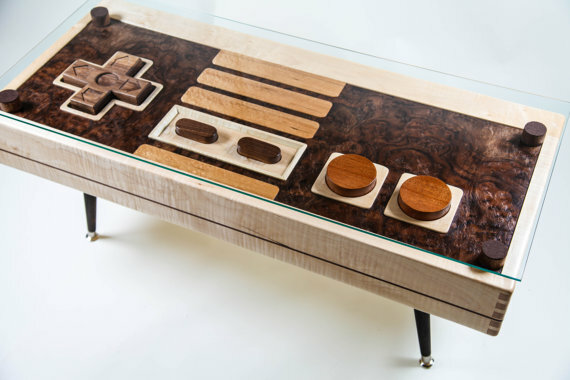 How awesome is this coffee table?! Every Gen Xer wants this in their living room, especially if they still have their old school Nintendo (which most do). The handcrafted table is made from walnut, maple, and rich mahogany. This might fool you into thinking it’s a purely decorative piece of furniture, but it’s so much better than that: it’s actually a fully functional Nintendo controller! It might be trickier to use than a normal handheld controller, but after 25 years everyone has mastered Donkey Kong anyway, so a little extra challenge couldn’t hurt. This is a real thing. Someone makes it and other people buy it. For $250. Let’s all just take a minute to think about that. Apparently these mermaid tails are all the rage this summer, a trend that baffles me. I’m not a little girl, though, so maybe I’m unqualified to judge. By the way, boys won’t be left out while girls indulge their Little Mermaid fantasies; dolphin and whale tails designed for boys will also be available too. Remember the old fashioned one man band with a bunch of drums and horns strapped to his back? This is the 21st Century version. Plug in your iPod and take the party wherever you go. The only little flaw is that it probably won’t actually be possible to talk to anyone at said party. 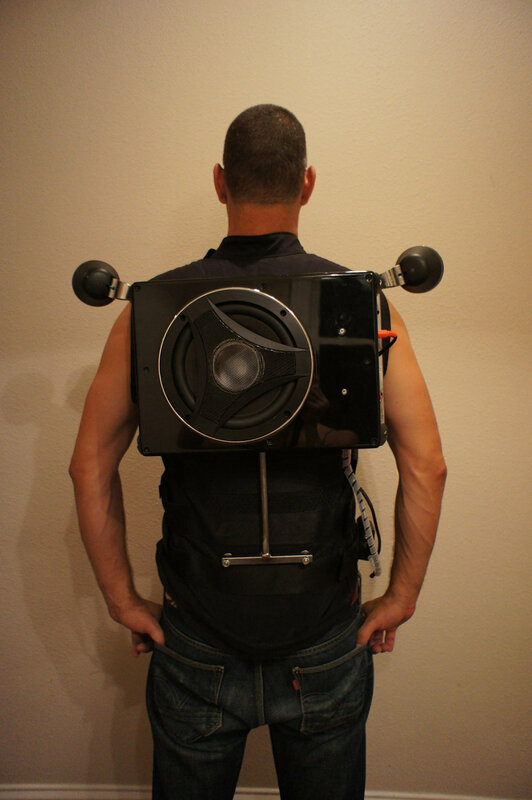 Also, mounting speakers six inches from your head might make your ears bleed. This has to be my favorite gift on the whole list. It’s pretty much exactly what it sounds like: a two-person submarine that looks like a killer whale. 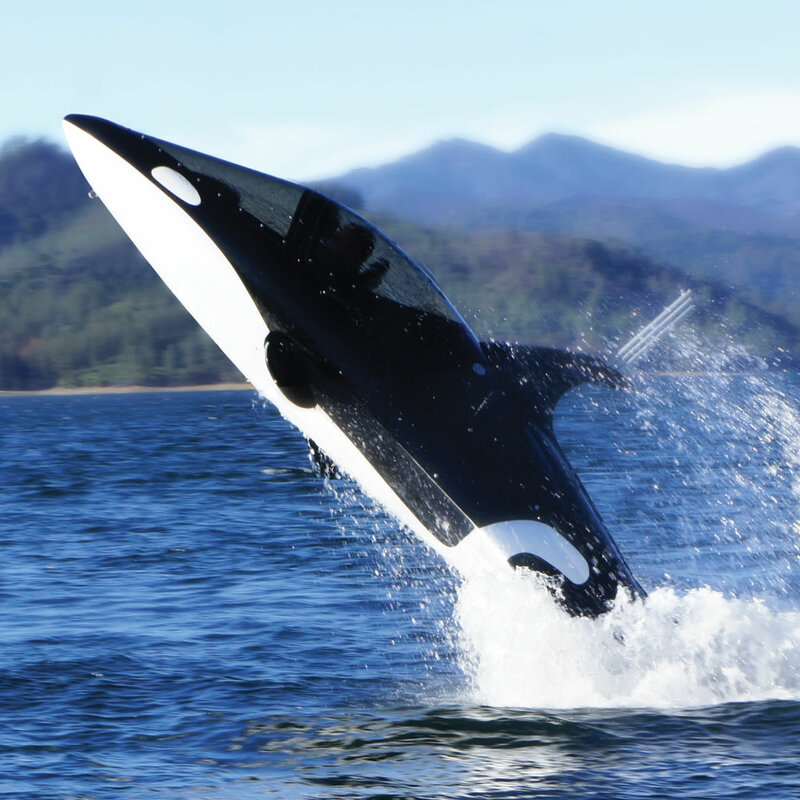 It’s even designed to imitate the way whales swim, submerging beneath the water and then launching into the air–up to 16 feet above the surface! The submarine travels at up to 50 mph on the surface and 25 mph under water. The $100,000 price tag pretty much guarantees that there won’t be one under my Christmas tree anytime soon, but maybe a few thousand of my friends can all chip in. Tired of bicycles, with their predictable two-wheeled design? Want to stand out? TheMonovelo will definitely get you noticed. The rider sits inside a giant wheel and steers by shifting their weight back and forth. With a little practice the Monovelo is very maneuverable and is a surprisingly effective means of eco-friendly transportation. Here’s a gift for your techie friend who just can’t separate himself from his beloved iPhone. 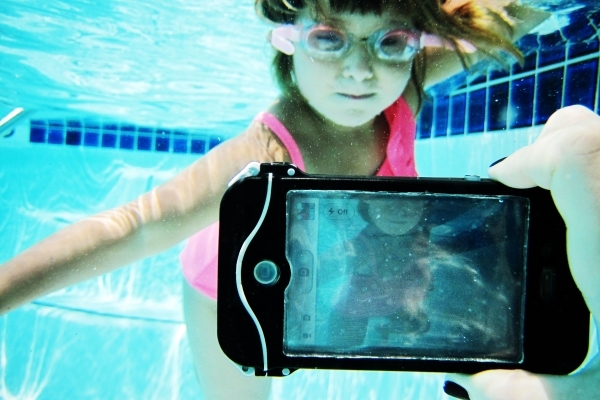 This watertight case turns any iPhone into an underwater camera, perfect for taking pictures at the pool or beach without worrying about destroying your expensive iPhone. Just promise to only use it for fun stuff, not to check email on the beach. 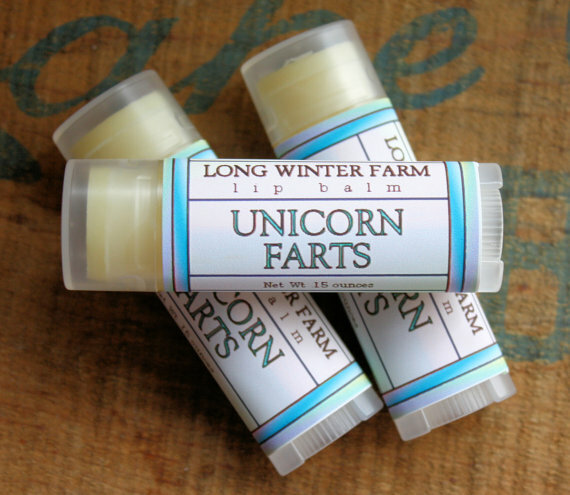 What do unicorn farts smell like? According to one company, spearmint and cotton candy with a hint of honey, which seems like a reasonably accurate answer to a question no one’s ever asked. Good help is hard to find, but the Virtual Butler is a perfect substitute for the real thing. Its software connects to your home’s security system and alerts the master of the house to any changes, from the arrival of guests to the temperature of the hot tub. His face is much creepier than it should be, but the Virtual Butler is still cooler than anything else in the house. 5. 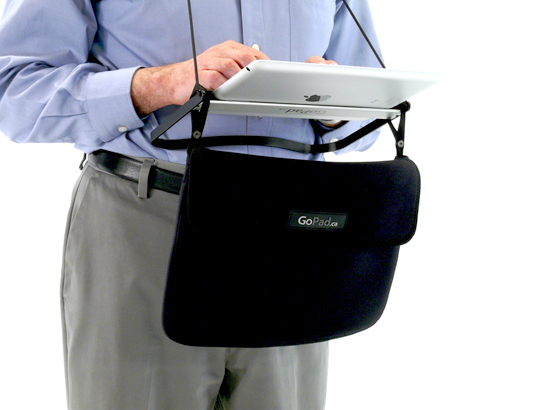 The GoPad. The beauty of an iPad is that it’s so small and portable, but I guess some people insist on buying junk to make it less convenient. Or maybe they think the iPad is too cool, so they want to make themselves look dorky while they use one. 3. The Butter Cutter. Do you know someone too dumb to cut butter with a knife? 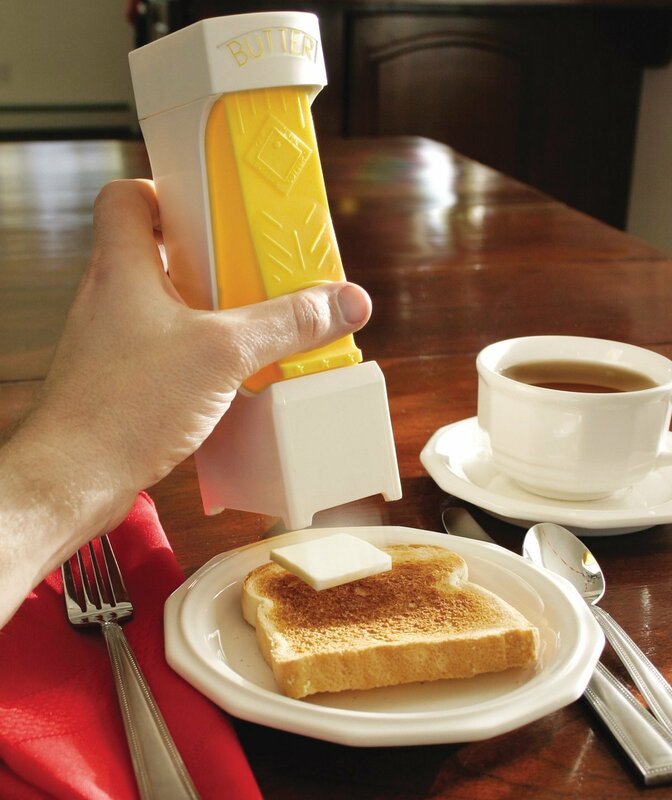 Give them the Butter Cutter, a device that cuts a pat of butter with one click of the handle. It works with margarine too, for your dumb friends on a diet. 2. Gift cards. Come on, really? Why would anyone give a gift card? It’s no more creative than giving cash, it can only be used at one store, and it will expire. 1. Flowers. Americans spent $32 billion on flowers last year, but why? Having a bouquet of flowers delivered is ridiculously expensive, and even in the best case scenario they’re dead within a week. For that matter, they’re dead from the start; all they do is sit on a table and decompose right before your eyes. Even worse,70% of the flowers sold in the US are imported from countries with minimal environmental regulations, so that rose you’re sniffing is probably covered in highly toxic pesticide. Add in the CO2 emissions from shipping those flowers thousands of miles, first from South America and then to your home, and you’ve got a gift that isn’t nearly as green as it would seem. Do you have a great gift story? Submit your crazy, funny, or otherwise awesome story in the comment section below. (Keep it PG-13 please!) The SendFudge.com team will read them all and pick a winner to get the best gift of all: a box of our handmade fudge! *Contest open to residents of the United States age 18 or over. Winner will receive one half pound box of fudge. Contest ends August 10, 2012.